Communicating in Fernando de Noronha. How to make yourself understood in the little fisher island of Fernando de Noronha. Communicating in Fernando de Noronha will require a bit more than body language. At what time? - A que horas? Thank you – Obrigado, when addressing men and Obrigada when addressing women. Could you help me? – Pode me ajudar? Where is the dive centre? - Onde é o centro de mergulho? 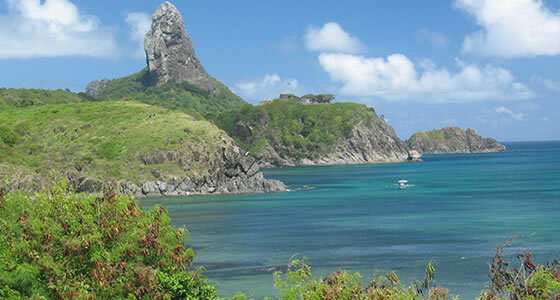 The international code for dialing Brazil is +55, while the area code for Fernando de Noronha is 81. The telephone system is connected to the national network, making long distance and international calls possible from the island. Many of the pousadas have wireless internet and there are a couple of internet kiosks at some hotels and cafes in town.